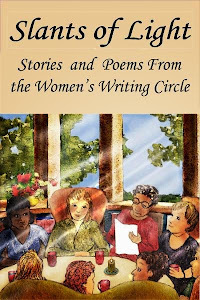 Women's Writing Circle : Literary Fiction: Off Limits Or "Still Alice"? Literary Fiction: Off Limits Or "Still Alice"? Are you an author who has considered transitioning from memoir to literary fiction? Writer beware. Unlike memoir or other niche genres, it seems some believe that literary fiction is the gold standard . . . review-driven . . . and readers of the genre want print books they can put on their shelves, reread from time to time, lend to a friend; not ebooks. Is Self-Publishing a Viable Option for Literary Fiction Writers? . . . the title of a post on Jane Friedman's blog. "Even though it’s become quite easy for writers to use Amazon KDP or other platforms to publish an e-book—and use print-on-demand technology to create a professional-looking print book—it’s still rare for literary fiction writers to self-publish." 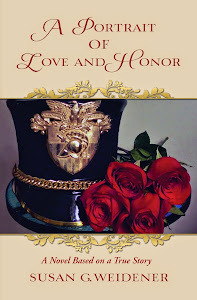 I guess I’m in the minority as an independent author with A Portrait of Love and Honor, listed as literary fiction. Are those who write literary fiction "not the best promoters of their own work," which is why many seek small publishers, according to the blog? It seems a romantic notion. What author these days gets away without promoting her work? Writers have always challenged the status quo - now, more than ever, we are reimagining the landscape. And readers have always responded to good books. It's just letting them know they're out there. . . readers, after all, could care less who publishes a book. There’s the part on the Friedman blog about Still Alice by Lisa Genova. 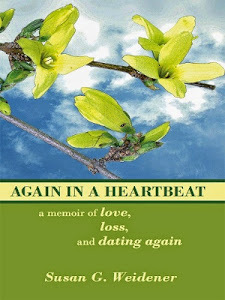 A self-published book . 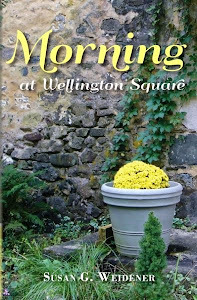 . . it was classic literary fiction with poor sales, according to the article. By chance a literary editor happened to read it; couldn’t put it down. Ditto her daughter. Forget sales, they said. The story was a page turner. 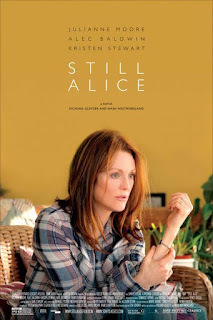 Still Alice is a story about an extraordinary woman slowly dying at the age of fifty from Alzheimer's. Human. Heartrending. Depressing even.The book was optioned as a movie and Julianne Moore won an Academy Award for the role of Alice. "According to The Guardian, literary criticism is still heavily male-dominated, and self-publishing is allowing women to break the book industry’s glass ceiling. If this is the case, shouldn’t more female literary writers take the leap and carve a new space for themselves in the indie landscape? AP: I don’t think self-publishing is the way for women writers to respond to literary criticism being male dominated. I think we need more diversity in the ranks of literary critics and we need to pressure publications to provide us with a more diverse array of voices." Okay. So how do we achieve "diversity" in the ranks of literary critics? How do we "pressure publications" to hire book reviewers, who, if they get paid at all, are an increasingly rare commodity in newspapers and magazines? Maybe, literary fiction is the last bastion of the gatekeepers? Or maybe it's endemic of a bigger problem . . . reaching the public with a story of merit with larger political and social issues is similar to a Sisyphean task in a book world where the phantasmal, violent or unengaged read is the soup du jour. But I think - hope - not. After all, who knows? Let's view the cup as half full. Just ask Lisa Genova. Are you an author of literary fiction or have you thought of transitioning from memoir to literary fiction? What are the challenges? Love to hear your thoughts/comments.